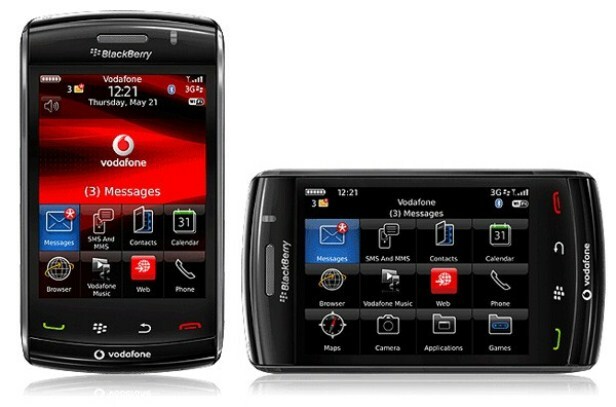 Launched in November 2009, the BlackBerry Storm2 9520 is one of the oldest models of a smartphone from the brand. However, customer reviews prove that it’s a high quality device that works very well and comes with impressive features. This article is going to tell you more about this phone, while it will also teach you how to perform a hard reset on the BlackBerry Storm2 9520. If the software is taking a long time to launch, applications are not working properly, or you’re dealing with freezes and errors, the phone might be affected by a virus. The master reset procedure is going to get you rid of all such problems by simply refreshing the operating system and erasing all data where the bug might have hidden. To familiarize you a little more with this BlackBerry phone, you should know that comes with 2 GB of internal storage and it allows users to store up to 16 GB more on a micro SD card. Equipped with a TFT capacitive touchscreen, the phone isn’t great for taking pictures, but it comes with a 3.15 MP camera located on the frontal side. In terms of connectivity, you can take advantage of a Wi-Fi hotspot, as well as a Bluetooth v2.1, while maps are included and most apps can be downloaded for free. Before reading further, you should bear in mind that this process is going to erase all user data, as it is trying to eliminate the risk of possible viruses. This being said, you should make sure you save everything important before you get started. To create a backup, we recommend using the well-known BlackBerry Desktop Manager app. This one is going to allow you to transfer everything you want on to the computer, by simply connecting the phone to it, using the USB cable. Moving on to the next steps to take, we have to mention that sometimes the phone might simply be running because of too much data stored on it or because of getting old. In such cases, you should make sure that the battery is fully charged, eventually try to delete or transfer some of the files you have, and perform a soft reset. This method can sometimes un-freeze the applications and help the phone run faster. It can be done by turning it off, taking the battery out and placing it back in after one minute. From the Home Screen, click on the Menu key. Go to the Options folder and select Security Options. 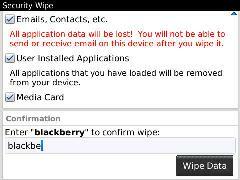 Choose Security Wipe and enter the password: blackberry. Check the necessary boxes to confirm what you’d like to erase and tap Wipe.